Every Friday afternoon beginning in January through the end of the legislative session, you will find a weekly update here. The updates are your guide to what legislation has been introduced that may impact you, your agency, and/or those you serve. They also tell you what bills will be heard the following week in committee or for floor action, with contact information for elected officials involved with the bill. This is a quick link to keep you up to date on the rapidly changing legislative session. For more information, please contact Bahney Dedolph at 602-252-9363 or bdedolph@azcouncil.com. 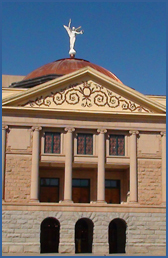 Weekly updates are a benefit of Arizona Council of Human Service Providers membership intended for members only.